On December 13 Samsung announced two highly creative and high-end 2-in-1 convertibles available in 13.3 and 15-inch display models. The Notebook 9 Pen models are available with Gigabit Wi-Fi, 8th Gen Core processor and can last up to 15 hours once charged. They both look like S Pen that can be placed into the body when not in use. You can place the S Pen that comes with the Notebook 9 Pen inside the all-metal and aluminum body when not in use. 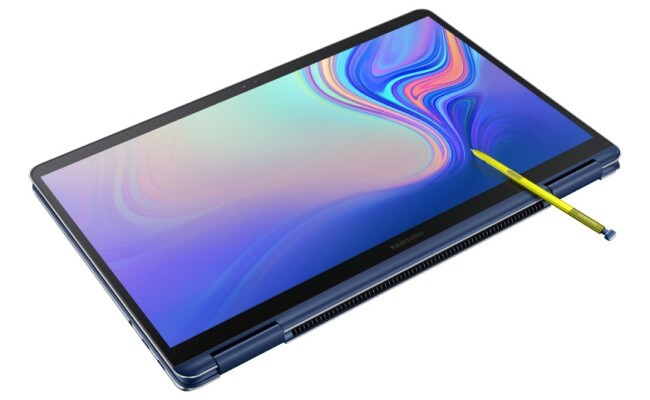 This version is the most advanced version of Samsung’s Notebook and it is more improved than the earlier model, along with a real pen feel during use. You do not have to charge the pen for use and three different tips are available for more creative usages. Samsung offers a 3 month free trial of the MyScript Nebo App from Microsoft’s Store. This app is known to change hand-written content into digital form and cleans up hand-drawn sketches and images. 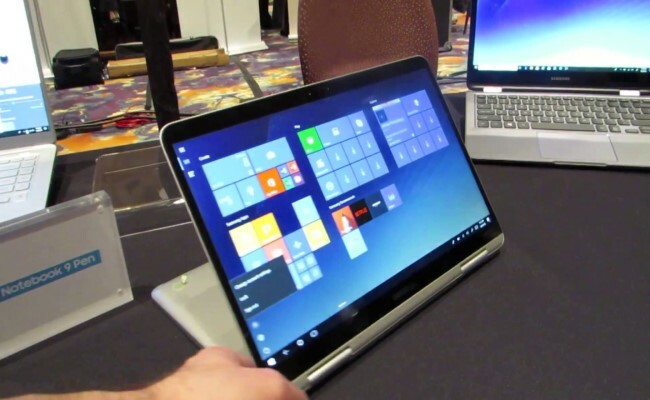 You can use the Notebook 9 Pen as laptop and tablet both, with the increasing accessibility and availability of 4K displays on laptops and the 2-in-1’s premium place, Samsung’s Full HD concept is somewhat disappointing. You still will get a bigger screen on this 2-in-1 and the thin side bezels that you would love. For late night work or pay, it offers a backlit keyboard, an HD IR camera and a fingerprint reader for easy login, and audio is packed with AKG stereo speakers with smart amplifier technology. Samsung Notebook 9 Pen is equipped with an Intel 8th Gen Core i7, 2 GB of Video memory, graphics from an Nvidia GeForce MX150 card, and LPDDR3 RAM and PCIe NVMe SSD storage. You will also get 802.11ac Wi-Fi, one USB-C, two Thunderbolt 3 ports and a 54 Wh battery which can last up to 15 hours of use, with fast charging support. In addition to 13.3-inch FHD display with integrated graphics, the Notebook 9 Pen 13 is, in fact, a smaller version of the Pen 15. Samsung is set to introduce both 2-in-1 machines next year, but it is expected to grab the potential US buyers at CES 2019 in Las Vegas. So friends, are you looking for the most advanced version of the technology giant Samsung’s Notebook 9 Pen, your long wait end here! ← What is Samsung Pay and How it Works?